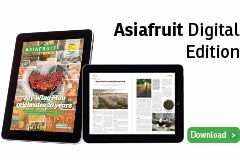 Once the primary concern of black sigatoka disease is addressed, Manila is hopeful it will gain access to Australia for Philippine bananas. In a bid to diversify its export portfolio amid growing pressure from South American banana suppliers, the country is exploring new markets for its major export commodity. 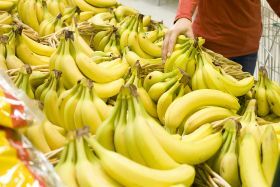 Later this month, the Bureau of the Plant Industry and the Philippine Banana Growers and Exporters Association (BPGEA) will submit technical documents to Canberra covering comprehensive Sanitary and Phytosanitary (SPS) measures. Stephen Antig, president of the BPGEA said Australia is likely to be a small market, considering it has banana plantations and its own banana export programmes. However, he noted that Philippine bananas can maintain a competitive advantage in price point as they are cheaper than locally-grown Australian bananas. Business Mirror reported that in late November, the Philippines and Australia held a round of agricultural talks in Canberra focusing on SPS concerns. In that meeting, a six-month timeframe was set for Australia to evaluate documents and decide on if it would pass Manila’s SPS and quarantine standards. Agriculture undersecretary Ariel Cayanan said the Philippines is optimistic it would overcome SPS concerns set by Australia. According to a report by the United Nations Food and Agriculture Organisation, in 2018 the Philippines regained its place as the second-largest global supplier of bananas, with Ecuador in the lead.